Q: I have already purchased a Preservation Kit, what is the next step? Once you have your kit, you simply fill out the enclosed Pre-Paid order form, use the materials provided to pack up your gown, and attach the Pre-Paid UPS shipping label. Please Note: An adult signature will be required when your gown is delivered back to you. This is done for the protection of your gown. Q: Do I need to have my gown cleaned before sending to your company? Q: What exactly is the process you use to clean the gown? Q: What stains are removed with your process? We are able to remove approximately 95% of all stains. Those such as tar, blood, perspiration, grass, mud, grease, and food are the most common. Also any sugar stains from cake icing, wine and other beverages. Q: What else can I send along with my gown? You are allowed up to three items to be cleaned along with your gown. The most popular are a pair of gloves (count as one item), veil, train, hat, jacket, shawl, handkerchief, cape, duster, garter, ring pillow, money bag, purse, and garter. A $10 charge will be added per each item over the allowed three. You can also send shoes, slip, and a silk bouquet, however it is $25 each. You will be able to view your gown and veil. Any other items will be positioned at the bottom of the window, where possible, or packed underneath your dress. Q: What kinds of repairs are done to the gown? Wedding Gown Preservation Company prides itself on having a highly trained staff that can handle most repairs for a nominal fee. Please note on your paperwork if you would like a call with a repair quote. From there our expert seamstresses evaluate your gown and call you with the quote. AND if during the gown inspection we do find there to be damages in any way, we will evaluate it and call asking if you would like the repair made. Q: If I want to declare more value, what do I need to do? Make a note on your paperwork and enclose a check or money order (made payable to: Wedding Gown Preservation Company) for $2.00 per $100.00 of additional declared value. 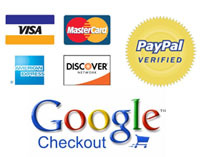 For your convenience we also accept Visa or MasterCard. Q: How can I be sure you have received my gown for preservation? For the quickest response please visit the tracking page of our website. You will need to have the serial number from your paperwork. If you provide an email address on your paperwork you will be notified electronically when your gown is received and when it ships back out to you. If you have any difficulties please call the Wedding Gown Preservation Co. at 1-800-305-3108. You may also email us with questions at leah@mygownpreservation.com. Q: Is my gown guaranteed? Q: Where should I direct any questions or concerns I have? You may the Wedding Gown Preservation Company at 1-800-305-3108 and a representative would be happy to assist you. For your convenience their hours are Monday through Friday 8:00am to 4:30pm Eastern Standard Time. Remember, the Wedding Gown Preservation Co. doesn't sell direct to the public so come back to mygownpreservation.com for your factory direct price. Q: What is declared value? Declared Value is the value of the gown in case of it being lost or damaged in shipment. For instance, if you have $500 in declared value on your gown that's how much either Fed Ex or UPS pays for the loss of your gown. Think of it as insurance for your wedding gown durring the shipping process. Q: How long does it take to recieve my Wedding Gown Preservation Kit? On average it takes 2-3 business days after you order to get your Kit in the mail. Q: How long does it take for my gown to be shipped back once it is sent in to be preserved? It takes 3-6 weeks to preserve your gown and send it back to you. During peak season it might take longer due to high volume of gowns coming in. Q: When is the guarantee null and void? The guarantee is void when you take the gown completely out of the preservation chest. Q: Does my gown need to be cleaned before it is worn again? No! All it would need is to be steamed to get the wrinkles out. Q: What can be seen through the display window in the preservation chest? The torso portion of the gown and veil is seen through the display window. All other items are placed on the bottom. Q: Do you put acid-free tissue in between the folds of the gown? No. There's no reason for it. Q: What's the difference between the white Traditional Preservation Chest and the silver Celebrity Preservation Chest? The only difference between the two chests is the color. They are both made of museum quality, acid free, pH-neutral, corrugated cardboard and the window is made of polyester. Q: What guarantee do I have that my gown won’t be lost or stolen? Being a bride at one time myself, I know how important your wedding gown is to you. Processing over 50,000 gowns a year I’d like to say that we haven’t lost any, however, still being a huge rarity, it has happened. We can't replace the sentimental value that was lost, but we have monetarily compensated those brides. We take all the necessary precautions to protect your gown as much as we can. Your gown is just as important to us as it is to you! We use UPS shipping which allows us to track your shipment at all times. Plus the insurance that is included in your price. Q: Do you send my gown anywhere other than your company? No, all gowns are shipped, cleaned, and preserved in the same place, located in Endicott, NY. Q: What is the difference between having my gown cleaned and preserved? Having your gown cleaned will remove any visible stains or dirt. Having your gown preserved will remove any visible or invisible stains such as hairspray or perspiration. It also protects your gown from turning yellow.